Welcome to Aqua New-Click For Guest Reviews! 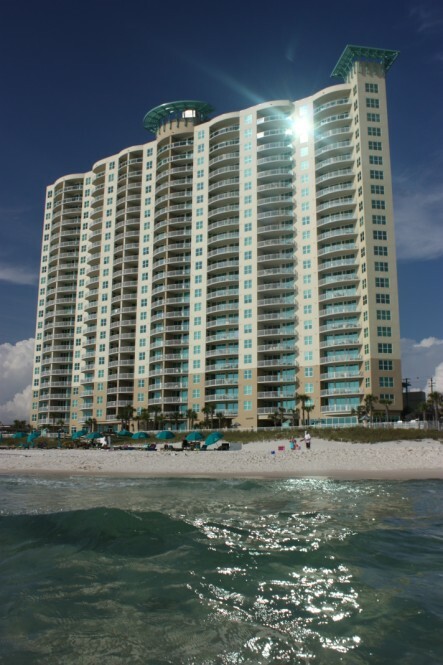 Located just 2,500 feet from Pier Park, Aqua is just a short stroll down the beach from the best Panama City Beach has to offer in dining, shopping and entertainment. The newest and most exciting development in years, Pier Park features approximately 900,000 square feet of open-air retail space featuring 200 specialty shops, department stores and restaurants, including Ron Jon Surf Shop, a Super Target, Dillard’s, J.C. Penney, Borders Books, Hollister, Aeropostale, American Eagle Outfitters, Beach Scene, Justice, Victoria’s Secret, Zales and Kay Jewelers. It is also home a to carousel, kid’s maze, and a 16-screen digital movie megaplex and the best dining, sports bar and nightly entertainment the area has to offer, such as Jimmy Buffet’s Margaritaville, Back Porch Seafood and Oyster Bar, Reggae J’s Island Grill, Guy Harvey’s, Longhorn Steakhouse, Hofbrau Beer Garden, Olive Garden, Red Robin, Buffalo Wild Wings, and more. Starbuck’s, Kilwin’s Ice Cream and Chocolate Shop and Marble Slab Creamery are just a few of the spots ideal for a casual break. When you are not busy at Pier Park or at the 1,600 foot Dan Russell City Park, which is the longest pier on the Gulf Coast, you will experience luxury living at Aqua, which is a large step up from the big box condos you may have stayed in before. The award-winning design of Aqua is fittingly centered on the theme of water, and water seems to flow everywhere on the property, from the entrance sign, to the lobby, to the cascading water features leading to the spacious resort-quality pools, and of course at the expansive white sand beach in the Open Sands area of Panama City Beach. No matter what time of the year you visit Aqua, you will enjoy first-class amenities, including an indoor-outdoor, heated pool, indoor hot tub with floor-to-ceiling windows overlooking the pool and gulf, a separate outdoor pool, pool-side café with wall-mounted TV’s, luxury lounge chairs, covered cabanas, and two outdoor grills. If you enjoy exercising with a view, you will love Aqua’s gulf-front fitness facility furnished with gym-quality equipment, including resistance machines, recumbent bikes, elliptical machines, and treadmills. Many of these have their own TV’s if you ever tire of views of the gulf, sun and pool. You can relax in style with friends in the wood-paneled study, or you may want to reserve the banquet hall to host one of the popular weddings on the beach, a large family gathering, or a business meeting or retreat. After a workout, enjoy the private steam room or schedule a personal massage across the hall. Jet ski rentals, banana boat rides, beach umbrella lounge chairs, parasailing, and Shell Island tours can all conveniently be reserved right on Aqua’s private beach. If you prefer even more seclusion, a large stretch of beach remains undeveloped in the direction of the pier. Kids’ activities are available during the peak season and include events such as sand castle building and movie nights. Walk across the street and take a helicopter ride down the beach for a sightseeing trip you won't soon forget. Our featured eighth floor unit boasts dark wood cabinets, granite countertops, stainless steel appliances, and spectacular views of the Gulf of Mexico from the master bedroom, living area and deep balcony. Located near U.S. Hwy. 79, the new Panama City-Bay County International Airport, the 200 acre Frank Brown Park and sports complex and within walking distance of Gulf World, Aqua is the perfect location for a luxurious escape for total relaxation or excitement – whatever your pleasure.